When you watch the Prince Ivan Show in Branson at Mickey Gilley Theatre, it’s sure to make your vacation more fantastic. Prince Ivan is a musical group that blends progressive sound with oldies for a fascinating musical experience in Branson. The group is made up of members Brydon Brett, Garon Brett, and Aaron Ellsworth. Their personalities are sure to immediately captivate everyone in the audience. A young pop/rock band that’s sure to get the entire audience up on their feet. The three members of Prince Ivan write and perform their own songs along with a live band. Most of their songs are kid-friendly and worthy of a spot on the pop charts. The show features original music written by the band members themselves, and though it includes a couple of popular mashups, the originality is what really breathes a fresh vibe into the set. Composed of energetic and talented members with a positive approach to modern music, this Prince Ivan Show in Branson is great for the entire family. As you head to Mickey Gilley Theatre in Branson to experience the fantastic act of this musical group, be prepared to dance and sing along. Backed by a live band, this family oriented show brings original music numbers as well as current hits. The freshness of music they create will uplift the audience with positive energy. Prince Ivan is a show that brings fresh musical air to Branson stage. In a pop music culture crying out for vision and creating sonic originality, Prince Ivan cuts through the noise with boldness, energy and a unique Top 40 sound that is progressive and current with some throwback at the same time. Their debut EP, “Once Upon a Night,” is now available on iTunes and features the popular singles, “Lean and Sway” and “Stay with Me.” Live on stage in Branson, Prince Ivan is an engaging and captivating show, entertaining audiences into a world where love, joy and unity reign – where all fears and worries can be forgotten for a while. 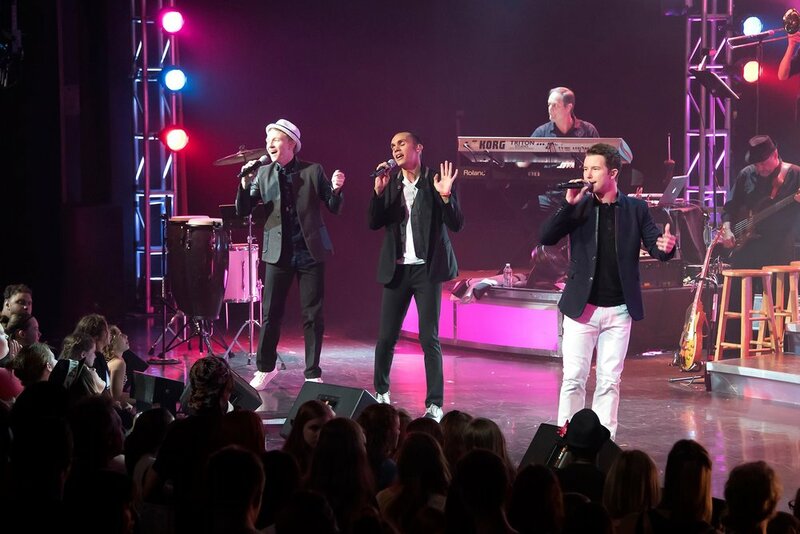 The group has a fully produced live concert that can be seen on tour and on select dates in Branson, Missouri. The members of the band are not only extremely talented, they are funny, kind and smart. They have an amazing philosophy that anyone could immediately had to ask about. It’s stated as “We believe music is meant to be enjoyed by everyone and should render a service to humanity…” When you combined it with their Mission Statement, you will understand why these guys will absolutely succeed in this competitive industry. So, if you want to experience a fantastic vacation with the whole family, don’t miss to watch the Prince Ivan Show in Branson at Mickey Gilley Theatre.